Monday was not only Lucas' birthday but also his friends birthday party. The day off of school worked out perfectly. All I had to do was make a cake- which worked out despite something I tried from pinterest that failed- and show up 15 minutes before the party was to start. 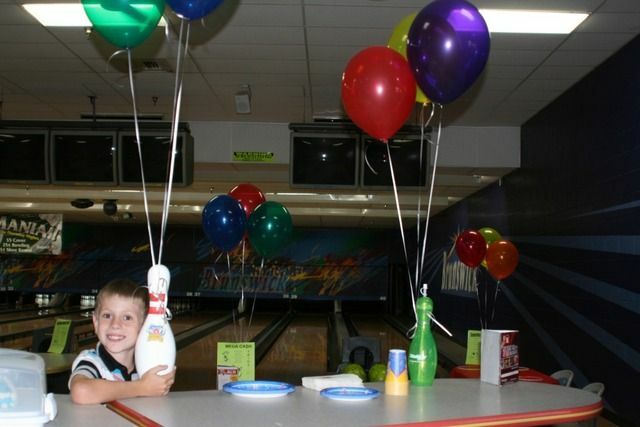 I was so impressed and happy with the decorated lanes; complete with a real bowling pin for all the guests to sign and bowling pin water bottle for the birthday boy. The kids had two hours of unlimited bowling, 20 tokens to the arcade, pizza and pop for lunch, glow sticks, and awesome goodie bags full of stuff including a free game of bowling for each kid. Also we had a party helper- who was there the whole time to help get the kids their shoes, get the food ready, clean up the mess- basically take care of everything. I really was impressed and Lucas had a great time- though as soon as he opened his presents (all Legos- his friends know him well) he was ready to go home as he wanted to build his new Legos. Alex said she wants her birthday party at the bowling alley and well we might just do it, as really the cost of only $126 for the entire thing and the ease of it all was so worth it! P.S. Don't forget to come back tomorrow and link up your Proud Mommy Moment for the week! I love home parties, but I love them away too. They are just so much less stress and headache. You get to walk away and it's over! That looks like a super fun party! Aw, what a cute birthday party idea. LOVE the song you picked out for the video! :o) And Ryder's reaction is really cute! He's so proud of himself! I'm so glad ya'll had a good time! That looks like an awesome birthday party! SO much fun! And I loved Ryders jumping up and down, so cute. 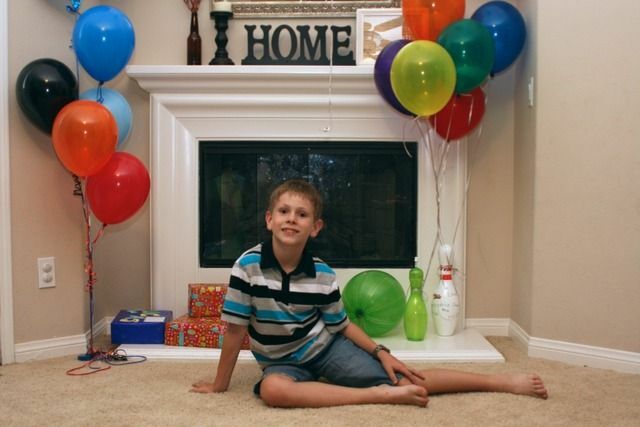 I still can't believe Lucas is 8! He is really looking grown up. What fun. You'll have to post some pictures of his Lego creations too! How fun! And I love Ryder's reaction - so cute!! That looks like a great party! I love that they gave him his very own pin. OH! My boys love bowling! How fun! What a great idea! Love that all you had to do was basically show up...now that's my kind of birthday party planning :) Happy Birthday to the birthday boy! That is awesome! 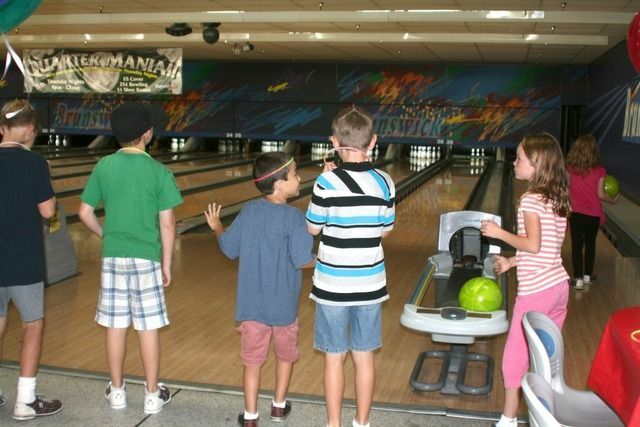 I was totally thinking of doing a bowling party for my kids when they get older. Sometimes it's so worth it not to have it not at the house...and a place that has activities! Great job on the cake! Happy birthday Lucas! Looks like a blast for everyone! Wow! That is a bargain!!! It looks like fun and doesn't seem exhausting! Fabulous video and report of an awesome party. I think that was a super way to go! I think I want my birthday party there. So fun. The cake looks great! And I'm so glad the kids had fun! What a FUN mom you are! Okay so I've done the bowling party thing, but man girl...that cake is AWESOME and I love that they give a sign in bowling pin, very cool! Looks like a fabulous birthday party! I wish I could have one like that :) Maybe I should change Mark's surprise party to something like this :). He turns 30 this year and I've been working on throwing him a surprise party. What a fun party! I am a big believer in having parties at places like that. It's so much easier and less stressful and the kids always have a blast. That looks like such fun!! I loved the video! Looks so fun! 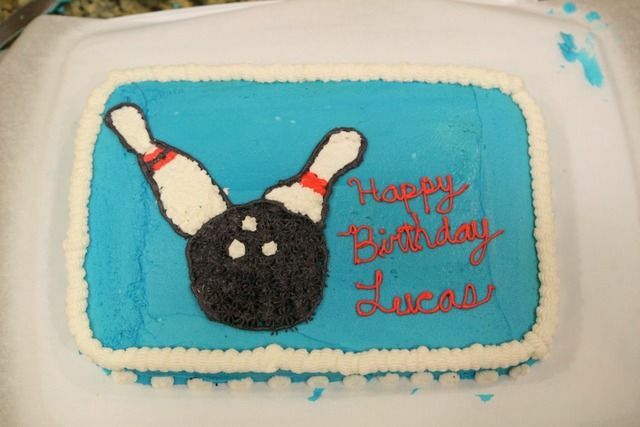 We had a bowling birthday party once and one of the guests kept licking the bottom of his bowling shoe and daring other people to do it. SO gross! How fun! Sometimes parties like that are so worth it. Fun for the parents and the kids. Especially with the minimal hassle. So cute with Ryder! Truly wonderful! I personally think planning parties on themes based on games is a great idea for boys. Just a month ago, planned a bowling party for my son at local party venues Chicago and happy that he loved my idea and arrangements.